 Biotin conjugated Rabbit F(ab')2 anti Mouse IgG antibody recognizes all subclasses of mouse IgG. Cross reactivity with rat IgG is expected. Cross reactivity to human serum proteins has been minimised by solid phase adsorbtion. Antisera to Mouse IgG were raised by repeated immunisation of rabbits with highly purified antigen. Purified IgG was prepared from whole serum by affinity chromatography. F(ab')2 fragments were prepared by pepsin digestion of the IgG followed by a gel filtration step to remove the remaining intact IgG or Fc fragments. Silveira, M.R. et al. (2002) Infection with Strongyloides venezuelensis induces transient airway eosinophilic inflammation, an increase in immunoglobulin E, and hyperresponsiveness in rats. Infect Immun. 70 (11): 6263-72. Conlon, T.M. et al. (2012) Germinal center alloantibody responses are mediated exclusively by indirect-pathway CD4 T follicular helper cells. J Immunol. 188 (6): 2643-52. Harper, I.G. et al. (2016) Augmentation of Recipient Adaptive Alloimmunity by Donor Passenger Lymphocytes within the Transplant. Cell Rep. 15 (6): 1214-27.